Ann is a co-owner of Chesapeake Financial Strategies, with her husband, Don. 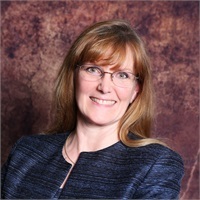 With over 30 years of experience in the financial services industry and the firm, she provides perspective and extensive experience for clients and her team members. In addition to overseeing the office's finances and office administration, she assists Don with the firm's compliance responsibilities. Ann also assists the CFS team with client services and marketing support. She graduated from the University of Maryland, College Park. In her spare time, Ann enjoys spending time with their family, cooking, scrapbooking, crafting, gardening, reading, and boating on the Chesapeake Bay with Don.